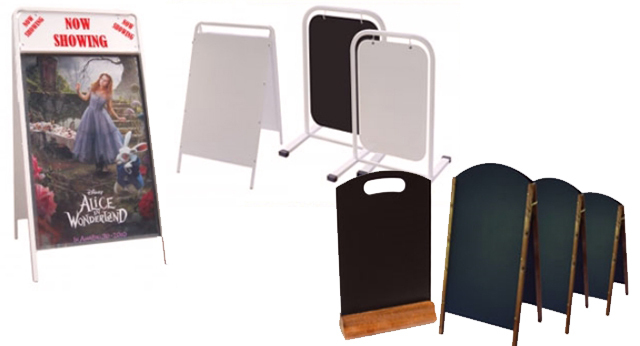 A wide range of Advertising ‘A’ Boards in various sizes, styles and colours available. A boards / pavement advertising – that’s what its all about! We offer everything from aluminium powder coated A boards through to poster cases that are easily changeable. There are swinging A boards, Chalk boards, Weighted base A boards for extra stability. All of which can be personalised by your own graphics and designs. Poster Cases / Wall mounted interchangeable. A variety of poster cases are available in different sizes, fully lockable for security. Acrylic face panels to protect your graphics from the elements. These can also be made to your bespoke size if needed.